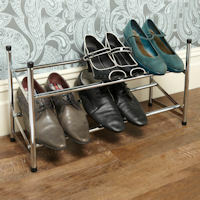 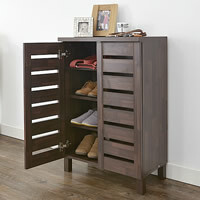 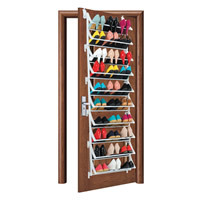 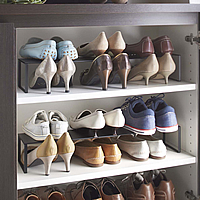 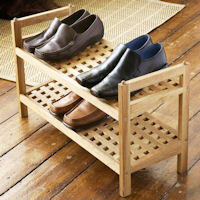 Our new vertical shoe rack is ideal for use where floor space is at a premium. 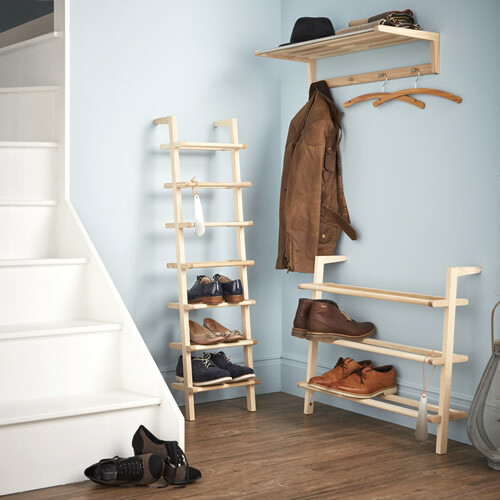 Unlike a traditional shoe rack, this stylish wooden shoe rack makes the most of vertical space by elegantly leaning against a wall, rather than taking up precious horizontal space in small halls or cloakrooms. 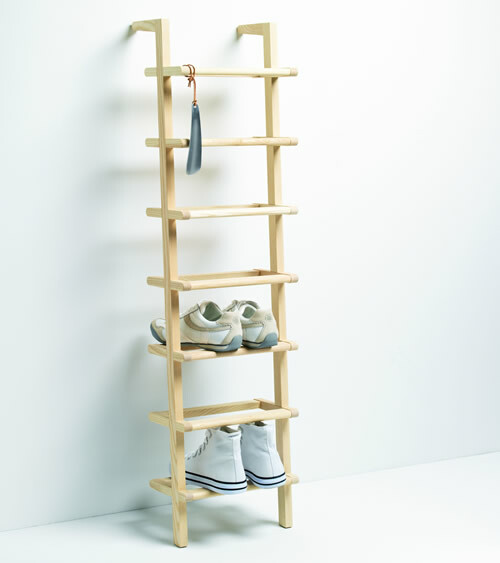 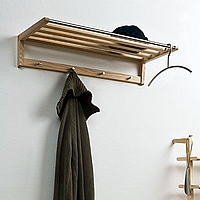 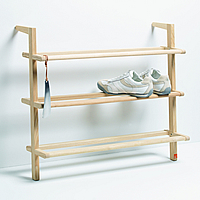 The rack can hold 7 pairs of shoes and rather than full shelves, the shoes rest on two pieces of ash wood meaning as little dirt as possible is left behind. 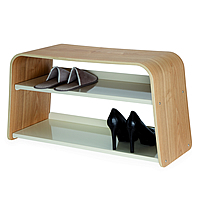 The simple yet stylish shoe rack offers plenty of space to store the families work and school shoes by the door and we've even included a handy shoe horn to make slipping on your shoes that little bit easier. 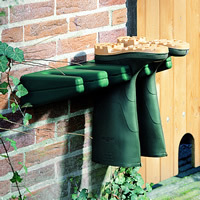 We're delighted to support our manufacturer of this product who works with disabled and under privileged people to produce these lovely products!